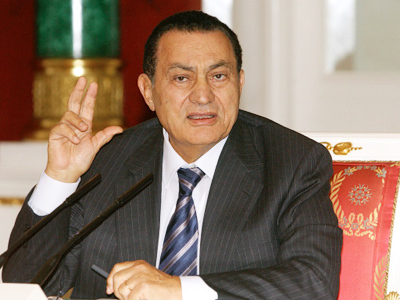 The US is reportedly in talks with Egyptian President Hosni Mubarak about him resigning immediately. 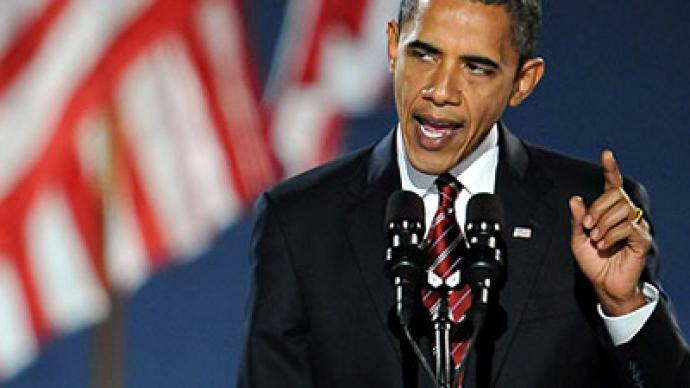 It follows numerous statements from American and European officials calling for the transition of power to begin now. 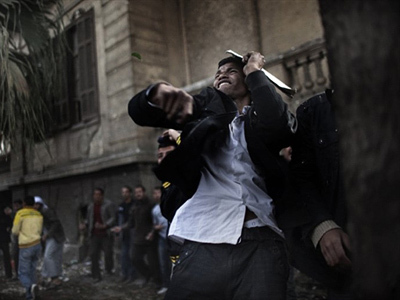 ­But many are questioning the right of Western leaders to meddle in Egypt's internal affairs. And then, faithfully, one after the other one, the other governments followed suit. “This democratic change has to start now” – Guido Westerwelle, Germany’s Foreign Minister and Vice Chancellor. “It needs to happen now” – Catherine Ashton, high representative for foreign affairs and security policy of the European Union. 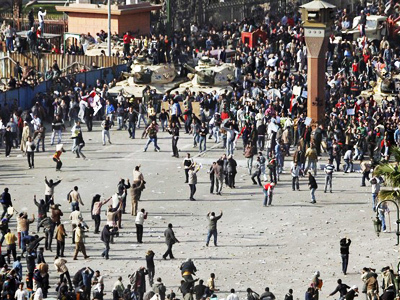 “To greater freedom and democracy in Egypt” – William Hague, British Foreign Secretary and First Secretary of State. 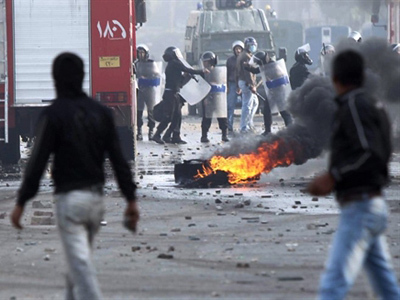 "There were 250,000 people in the streets of Cairo protesting for democracy. This is how democracy happens…" – US-based MSNBC network. But what right do US and European leaders have to get involved in what is essentially domestic unrest about dissatisfaction with a ruler? Who cares what they want in Egypt? “I’ve listened to Obama’s speech, and his bum must hurt because he’s sitting on the fence so much. He’s neither saying ‘Go now Mubarak,’ he’s just saying ‘There must be a peaceful transition.’ Where is this peaceful transition?” another man said. It is a complete turnaround for the Western world, which has always supported Hosni Mubarak as a force for stability in the region. The US gave him $1.5 billion a year for his armed forces alone. It was Western support that kept Mubarak in power, betraying an inherent misunderstanding of the way Egyptian society operates, according to Chatham House. 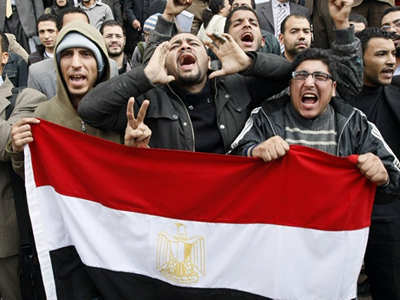 All of which suggests that Western countries should stand back, and let the Egyptian people exercise their sovereignty. “The President of the United States would call on us to move immediately and instantly to make changes as if we are the 51st state of the US. We are not!” says Ibrahim Kamel, a member of Egypt’s National Democratic Party. ­Professor Ayman Asklany from Cairo University is dismayed at America’s attempt “to steal the victory” of Egypt’s young people. He points out that foreign interference is not at all welcomed by the protesters. “People in Tahrir Square and every single part of the country are calling on the foreign powers, no matter what, without naming a particular power, to keep away. It is our internal affairs and we would like to keep it our internal affairs,” says Asklany. ­Jean Bricmont, the author of the book "Humanitarian Imperialism: Using Human Rights to Sell War," does not believe the statements made by European leaders are a result of common foreign policy. The West has no such policy, as there are too many countries, so they follow the trend which is set by the US and Israel. Bricmont called the recent events in Egypt a “total collapse” of American, Western and Israeli strategy in the region, which supported dictatorship that was friendly to the West and Israel. “The help to Egypt is a sort of help to Israel in disguise, because they are helping the Egyptians not for the sake of Egyptians, but for the sake of the peace treaty with Israel… But giving $2 billion a year to a country like Egypt does not do very much to relieve the suffering of the masses. The problem is that the money goes to the pockets of their leaders anyway. I don’t think it stabilizes the situation,” Bricmont says. The Muslim Brotherhood might cancel the treaty if they come to power, Bricmont thinks, but “there is a difference between canceling the treaty and actually going to war.” Egypt is currently not in position to attack Israel. But if Tel Aviv finds the new regime dangerous for its security, they might go for a preventive attack, which has been their mode of action for decades, Bricmont stated. 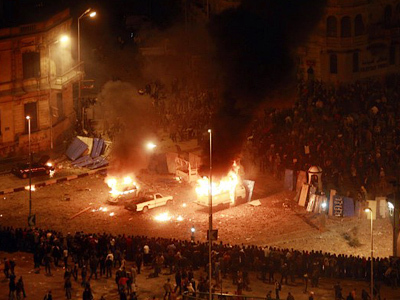 Trying to play a role in Egypt’s future is a dangerous game for Western leaders. Hosni Mubarak enjoyed strong support from America & Co. for many years – but now, at the first sign of trouble, their support is conspicuous in its absence. It sends a message to friends and foes alike in the region – when the going gets tough, do not count on us – a message that is likely to further destabilize an already deeply unstable part of the world.